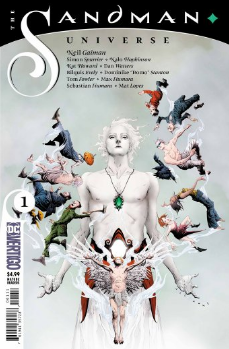 THR recently offered an in-depth look at DC/Vertigo's new one-shot The Sandman Universe. This book will serve as a launch pad for four ongoing series inspired by Neil Gaiman's The Sandman: The House of Whispers, Lucifer, Books of Magic, and The Dreaming. Of these, I'm really only excited about Kat Howard's The Books of Magic, but I'll probably give the other titles at a gander for nostalgia's sake.